You’ve made the best decision of your publishing career and registered for IBPA Publishing University. Your travel plans are set; hotel reservations are made, and the suitcase is out of the closet, ready for packing. You’ve committed the IBPA Publishing University schedule to memory and know exactly which sessions you plan to attend. 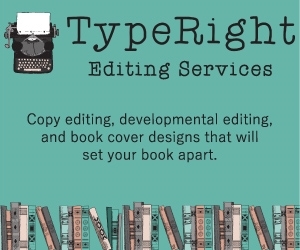 Now all you have to do is show up, take notes, and a day and a half later you will leave having transformed yourself into a repository of publishing information. After all, that’s what you came for, right? 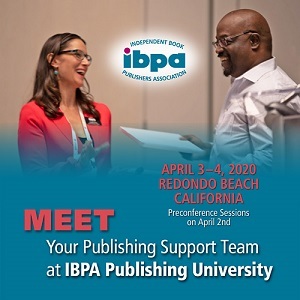 Of course the purpose of IBPA Publishing University is education—the 20 individual sessions and general sessions were created specifically to inform, incite, and inspire. Knowledgeable experts in the industry are gathered in one place to give attendees the benefit of their wisdom and experience; the attendees soak it in and return to their workplaces chock-full of ideas on how to publish better and smarter. But there’s much more to IBPA Publishing University than that. If this is your first University (or even if you’re an IBPA Publishing University veteran), the tips that follow will help you make the most of the event. 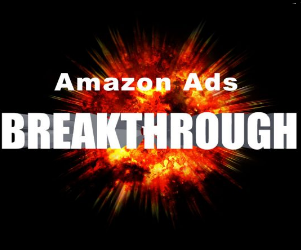 Not an official guide, these tactics are nonetheless time-tested–culled from years of collective attendee experience as well as my own. Tip #1: Divide and conquer. 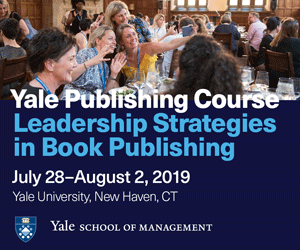 Since three sessions occur concurrently in every time slot at Publishing University, common sense would dictate that you can choose only one to attend. True enough. However, that does not mean you have to miss the other two classes. Bring a couple of fellow publisher friends with you and plan your schedules so that each one of you attends a different session and then everyone shares notes afterward. Or introduce yourself to two fellow attendees and propose the same plan of attack; this way, everybody wins—and you will make two new friends in the bargain (see tip #3). Tip #2: If the class doesn’t move you, move on. If the course content isn’t addressing your particular needs, feel free to leave the session immediately and try another class. Neither the speakers nor your classmates will be offended, and it’s important that you get maximum value from your IBPA Publishing University investment. Tip #3: Talk. 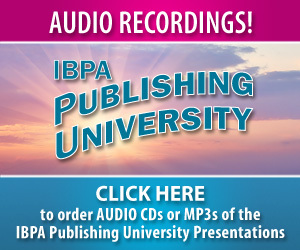 IBPA Publishing University is unique in that as much learning takes place outside the classroom as it does inside. Talk, talk, and talk some more—to your instructors, to the industry service providers who are also there to educate you, and of course to your fellow attendees. Take advantage of the ample opportunities to network with your colleagues, and don’t be afraid to reach out and touch someone at IBPA Publishing University. We are all there to support and help one another. Tip #4: Ask. Don’t be afraid to ask questions either. Everyone is there to learn, and no question is too insignificant or too elementary to deserve (and receive) a thoughtful answer. Check your timidity at the door—at IBPA Publishing University, questions are not just encouraged; they are embraced and solicited. “If you don’t ask, you don’t get” is one of the best pieces of career (and personal) advice I’ve ever received. Make it your mantra on March 9–10—and beyond. Tip #5: Share the wealth. When IBPA was founded in 1983, our motto was—as it remains—“Helping each other achieve and succeed.” Both during and after your IBPA Publishing University experience, I encourage you to tweet, blog, write an article for the Independent—in short, communicate to your fellow publishers who weren’t able to attend what you took away from the event. Pay it forward, and I guarantee it will come back to you tenfold. Tip #6: Stay in touch. Today’s IBPA Publishing University acquaintances will become tomorrow’s mentors and friends. While you’re there, don’t fail to collect business cards from everyone you meet and write a quick note on the back so you’ll remember who the person was and what you talked about. Once you get back to the reality of email, order processing, manuscripts, and bills, you’ll be tempted to throw those cards in the “Someday” drawer. Don’t do it—take 10 minutes, send a quick “Nice to meet you” email to colleagues and speakers alike, and you’ll be developing a network of advisors that will be a tremendous support as you progress in publishing. Tip #7: Have fun. Who said getting the best educational value in your publishing career had to be serious business all the time? Sure, the schedule is full, but there’s still time before and after classes to get to know your fellow attendees on a personal level. And hey, you’re in San Francisco—one of the most beautiful cities on earth–so take advantage of some exploration if your travel plans permit. In the iconic ’60s anthem “San Francisco,” singer Scott Mackenzie exhorts visitors to the city to wear some flowers in their hair. I can’t promise I’ll be sporting a floral crown on March 9 and 10, but what I will be doing is dividing and conquering, moving, talking, asking, sharing the wealth, staying in touch, and, most especially, having fun. I encourage you to do the same—and start by coming up to me and saying hello. See you at IBPA Publishing University 2012! Follow Florrie and IBPA on Twitter at twitter.com/ibpa, and on IBPA’s blog at ibpablog.wordpress.com. 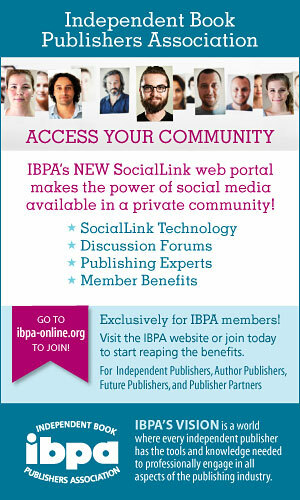 Join Independent Book Publishers Association–IBPA group on Linked In (linkedin.com).